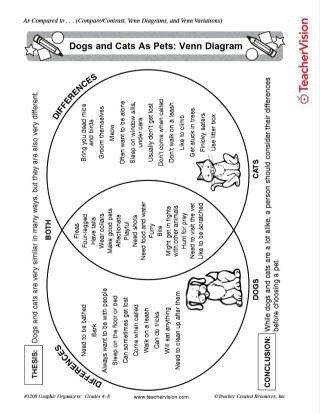 Model effective usage of a Venn diagram with this example, which compares and contrasts dogs and cats as pets. It will show your students how to utilize Venn diagrams on their own for a variety of topics. This printable can be used for a variety of subjects, including language arts and writing, reading and literature, and science.